Many people believe that writing a good short story is easier than writing a novel. Though each genre has its own challenges, many writers have pointed out that, in fact, the opposite is true. Because the writer has to work with a much more limited space in a story, as opposed to a novel, he has to be careful with each and every element he puts into a story. Because every sentence is carefully crafted and chosen in a story, a good story will have a gravitational pull that readers can’t escape from. 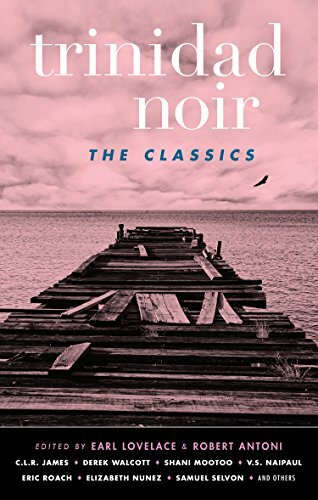 This is the case for Trinidad Noir: The Classics; a collection of short stories by multiple authors, such as V. S. Naipaul, Derek Walcott, and Elizabet Nunez—all centered around Trinidad. As the name of the collection indicates, the stories making up Trinidad Noir: The Classics do not present the readers with the sunny, relaxing vacation spot most tourists would be well acquainted it. Instead they set the tone for a much darker place and do not flinch from portraying a world where criminal activities rampant prostitution, dealings with corrupt cops and marijuana plantations exists alongside the ordinary lives of Trinidadians. Fully adhering to the rules of noir literature, the collection takes the reader on an unexpected journey. The reader never knows what to expect from these stories. Sometimes, they will focus on a simple courtship that ends in a tragic and slightly mysterious death, the way C. L. R. James’ “La Divina Pastora” does. The stories tackle a broad range of subject, themes, and characters, and what ultimately reunites them is their dark tones and puzzling endings. Those readers who enjoy solid, definitive endings may not always enjoy the sudden conclusion these pieces arrive at. The endings may feel starling, incomplete or as if they don’t have any real resolution. That, however, doesn’t mean that these stories are empty or immaterial. In fact, it is precisely because each piece focuses on more the daily, mysterious, darker instances of life that these endings prove more powerful than they would have otherwise. Another surprising element of the collection is how each story is stylistically different from the others. While some stories are written in a familiar, prose format, others like Eric Roach’s “Homestead” are written in verse. These poem-stories are, of course, not devoid of plot. In fact, the stories they have to tell are just as engaging for the reader, if not more. They allow the reader to explore storytelling through different perspectives, taking them to unusual yet welcoming depths. Those readers that aren’t the biggest fans of poems might not be immediately intrigued but given how simply yet intelligently these story-poems are written, it is inevitable that they devour these narrative styles as well. Because each story in the collection is written by a different author, each is told with a different voice, style, and tone. As such, some stories are bound to speak more to readers than others. Regardless, each story is magnetic, no matter how short or how stylistically different.